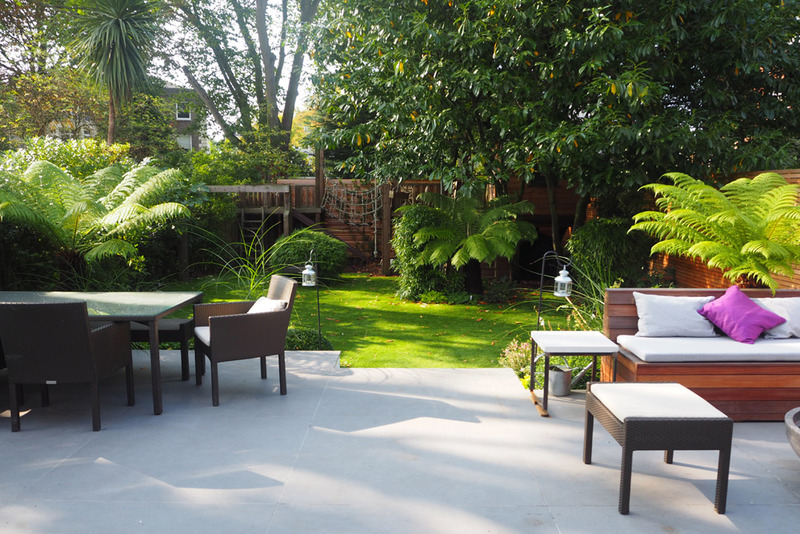 After the refurbishment of the entire house and the addition of a basement floor partially under the garden, the outdoor space was in need for new contemporary layout matching the inside decoration whilst keeping the country feel of this densely planted Hampstead area. 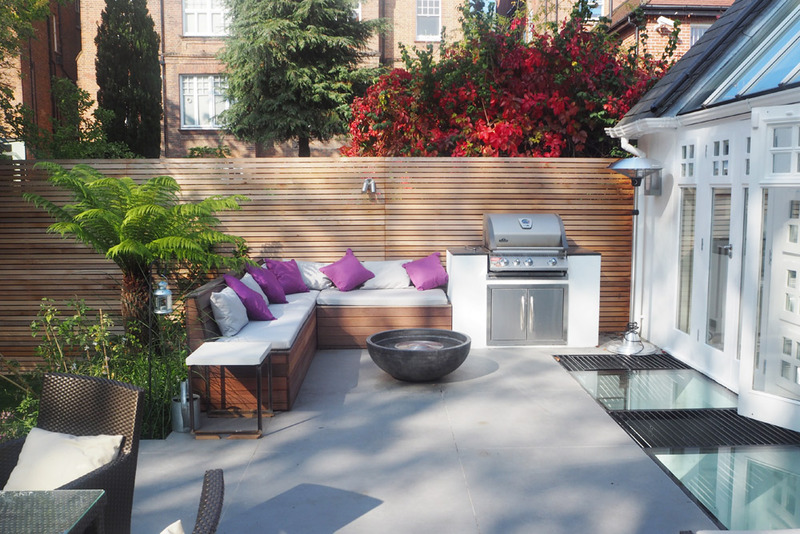 An entertaining area has been created by the house and accommodates a dining area, lounging area and a built in BBQ. 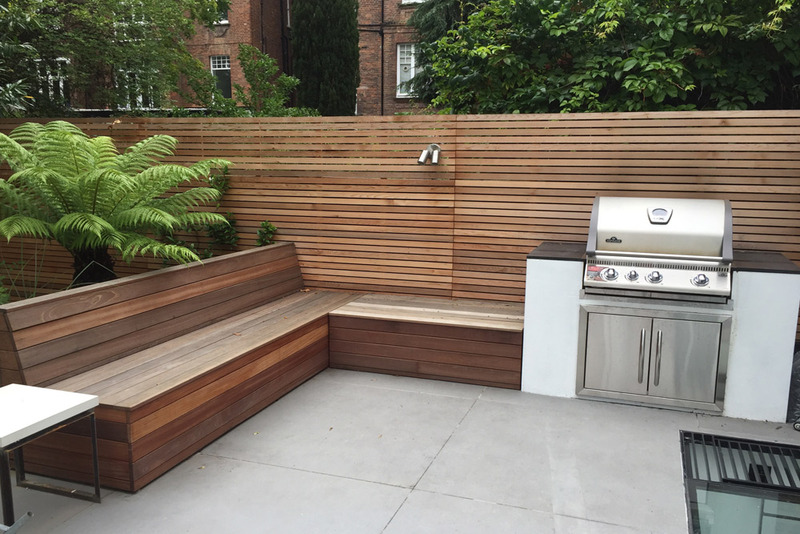 Hardwood has been chosen to hide the existing fence and for made to measure built-in bench. 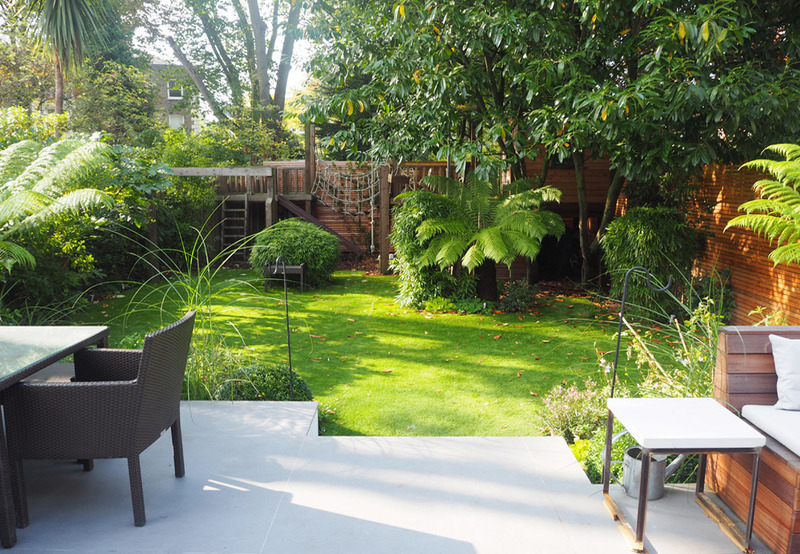 Extra large ceramic tiles on the floor link inside and outside and give spaciousness to area. 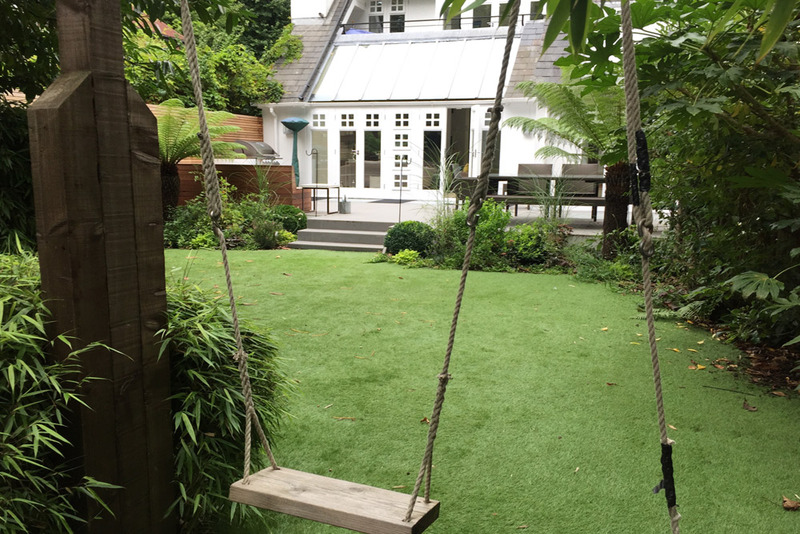 The lawn area is much larger and fake grass has been used in order to make it an all year long accessible place to play. 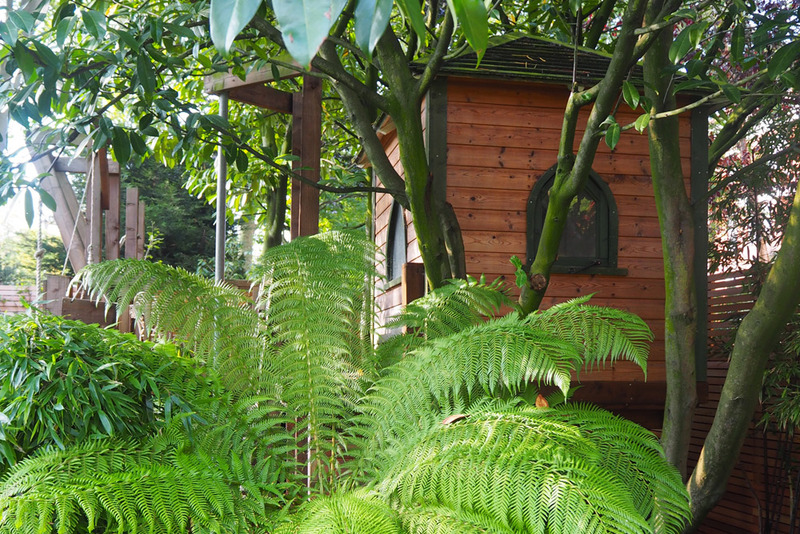 The massive play structure at the back has been incorporated in the layout and is partially hidden within the planting making it an inviting place to discover. 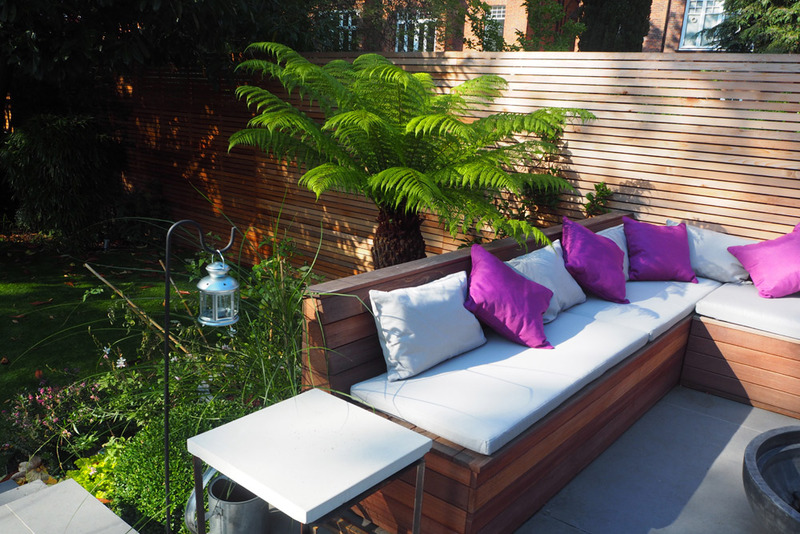 Together a fire pit on the patio and discreet lighting within the plants give a warm atmosphere at night. 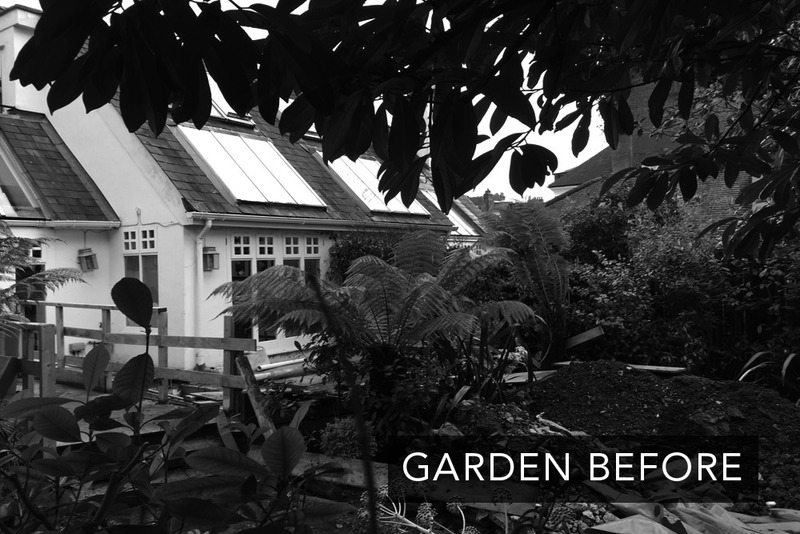 Most of the existing planting has been kept with the addition of structural planting, a mix of herbaceous and grasses giving interest and structure for every season.